There’s a dark underbelly to all this emphasis on mindset and growth. The core principles make sense. We know that our brains are continuing to grow and form and make connections. Awesome. We all can keep growing. But, the mindset movement frequently takes this truth and warps it to presume that everyone starts on an even playing field. I don’t know how our world got to the place it is. I have my theories, but really this post isn’t about how we got here, it’s more about how do we get out of here. And what is this “here” I’m speaking of? Our frantic, over-scheduled, constantly busy, anxious mindset. Maybe it isn’t grammatically correct to say “our mindset”. After all, each of us individually is responsible for our very own mindset and perspective. But I’ve run across the same lifestyle, the same frantic over-stressed pace from far too many people that I do honestly believe this is a communal anxiously busy mindset we’ve developed. As a therapist and in my personal life, I’m a HUGE proponent of mindful living. I’m regularly urging clients to simplify and I’m regularly trying to simplify my own life. And yet, my family and I have gotten sucked into this ridiculous frenzy just like nearly everyone else. And as I recognized that, I repeatedly would hear myself say things like, “I’m too busy” “we need to cut something out” “I don’t have enough hours in a day” “How did we get here and how do we stop? !” And then, thanks to my 11 year old and the wisdom of some more enlightened people than I, I had an epiphany. It all began one day when I presented my 11 year old with his list of learning tasks. As a homeschooler, he and I decide what he wants to learn about every few months and then, due to Cub’s request, I decide what topics we’ll focus on each day. Every morning he opens up his notebook and sees the list of scheduled activities, chores, and learning topics. This particular morning, he had 3 chores (animals, dishes, shower), 5 topics (history, spelling, physics, Japanese, flute) and Aikido. Immediately he groaned and the all-too-familiar whine of discouragement began emanating from his mouth. Apparently the list was too long, the chores were too overwhelming, and it’s all just too much. Being a therapist, I of course (and probably far too frequently! ), probed further. To which I heard him talk about how his life is too scheduled, he has too much school work to do, it feels like we’re always running, etc, etc, etc. If I was a cartoon character a little light bulb would have popped on above my head. Of course! 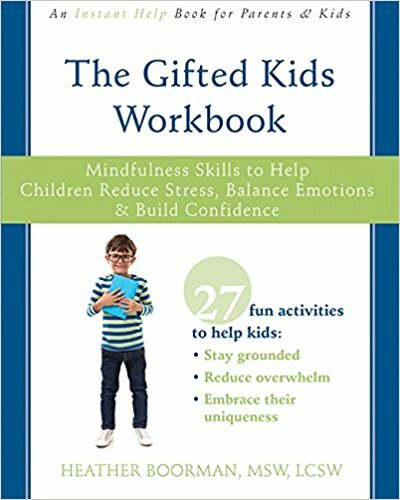 How can I expect my 11 year old to calmly face his schedule if I am modeling an attitude of anxiety and overwhelm? Isn’t it possible to be busy, but not anxious? Yes, we all need to be mindful of our commitments and the activities we sign ourselves and our kids up for. But, we need to be even more mindful of our mindset. We live in a world with a lot of information and opportunities at our fingertips. This is excellent. And we can set our minds to remember how excellent this is. Or, we can set our minds to focus on the frenetic. It is entirely up to us. From nearly anyone’s perspective, Cub really didn’t have that busy of a week that week. He had 2 scheduled hour long activities, approximately 30-45 minutes of daily chores, and approximately 3-4 hours of formal learning work each day. Which means he had approximately 25 of his waking hours scheduled and 73 hours of free time, not counting 10 hours/night for sleep. Yes, I do empathize that his understanding of busy and my understanding of busy are two different things. And I really did try to provide empathetic support and understanding, but I also hope I conveyed to him that at the end of the day, the overwhelm was of his mind’s own making. And, with work and practice, he can choose his mindset. I can be busy and anxious, or I can be busy and calm. Either way, being a married mom to 3 Fringy kids, a business owner, a writer, a speaker, a volunteer, I’m busy. And I choose to be busy. So why be anxious about it? Over the past couple of months, every time I begin to feel the frenzy and overwhelm creep in, I try very hard to remind myself that I can be busy without being anxious. I am telling you, with full hearted honesty, this has made a world of difference in my own well-being and my family’s well-being. Make the choice. It really is yours to make. And by doing so, you’ll also be helping your children make the choice. Be busy, not anxious.